NFC programmable hardware token in a classic keyfob/dongle format. 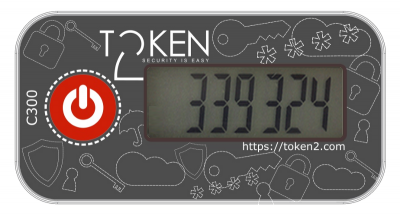 The seeds can be set and reset an unlimited number of times using Token2 NFC burner Android and Windows applications. Note: programmable tokens have no animated timer indicator (ticker) and automatic OTP refresh (the screen just turns off after 30 seconds). These features have been disabled in order to increase battery life.